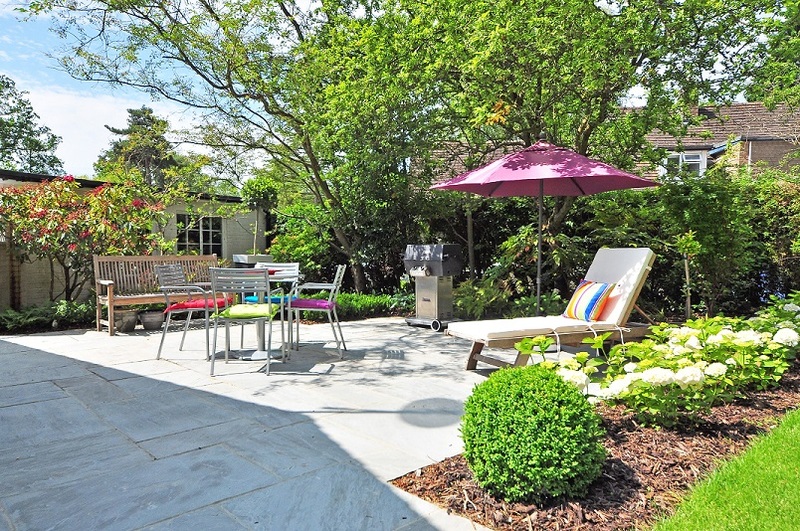 Did you hear about us on RenovationFind? 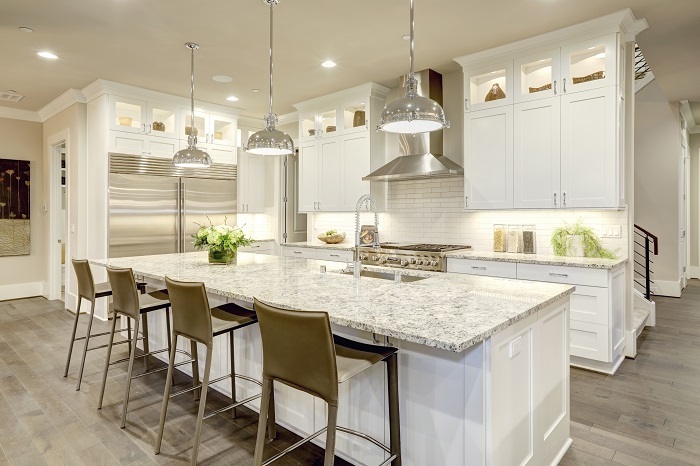 A new customer was looking for a company like yours to help with their home renovation project, found your company listed on RenovationFind and got in touch with you. When they came to you, you asked them “So, where did you hear about us?” hoping they might reply, “Well, I found you on RenovationFind!” Instead they said, “Google” or “the internet”. Though that may be true, it doesn’t mean that customers are not finding your company through your profile on RenovationFind. 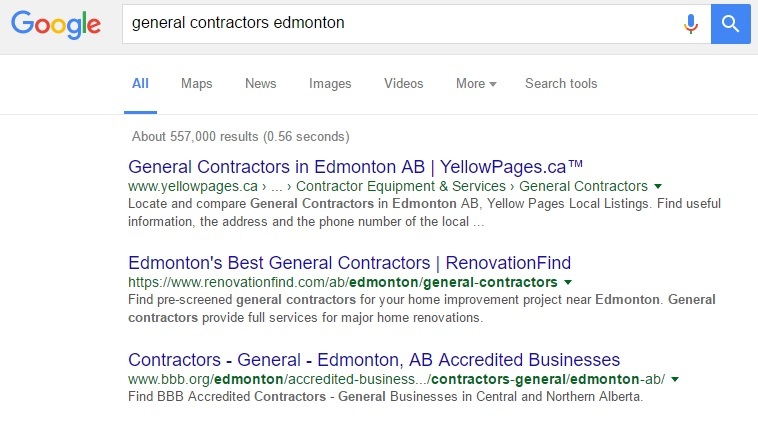 For example, if a homeowner needs a general contractor they might search for “General Contractors Edmonton”. 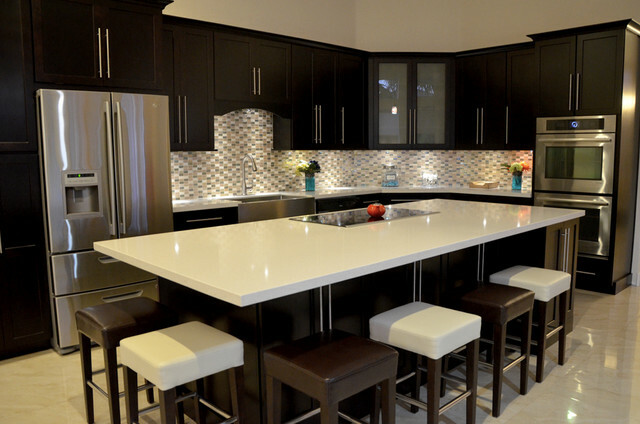 The RenovationFind webpage with all of our general contractors comes up in the search findings. They will see that it’s a good search result for them and click on it. 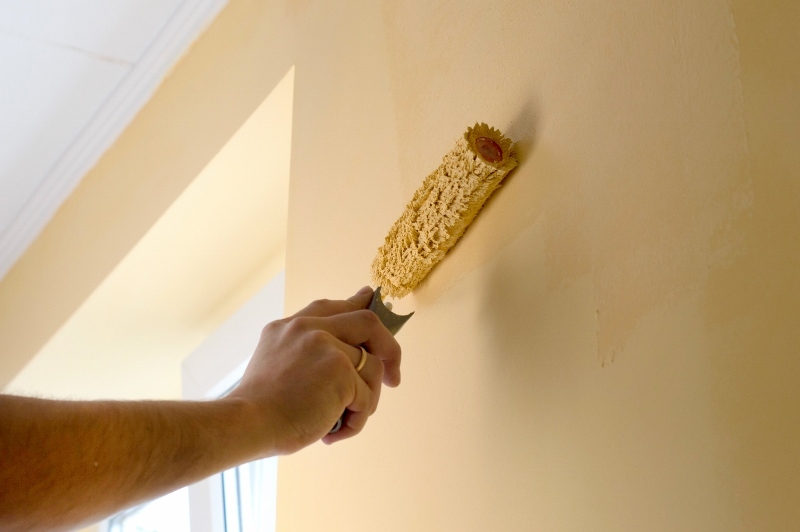 Here they will find a list of trustworthy general contractors, including your business. They will click on a profile, decide that is the type of company they want to contact and give you a call. 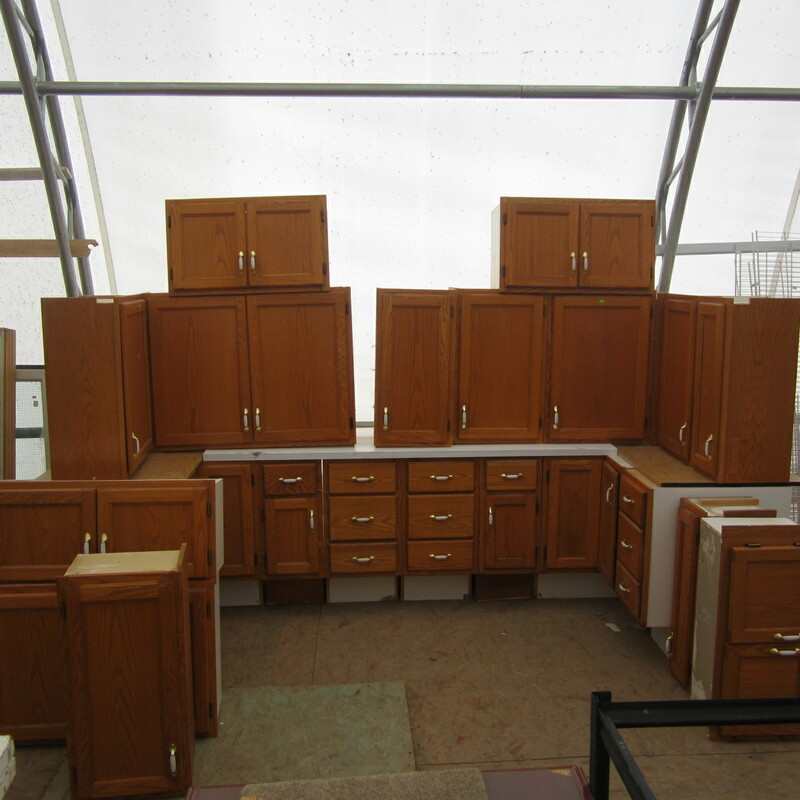 The probably didn’t even notice that the website they found you on was RenovationFind. When you ask, they might not know what RenovationFind is so they’ll say “through Google” or “on the internet”. In addition to your profile, we also place banner advertising on the internet for you. So a homeowner could be browsing a totally different website when they see your banner ad and decide to click on it. This will bring them to your RenovationFind profile, where they will find your phone number or website and call you. They still don’t know what RenovationFind is, just that they found you on the internet. Because of RenovationFind, your web presence has grown substantially and that goes way beyond your RenovationFind profile and banner advertising. For example, a homeowner might think their old roof needs to be replaced so they search for something like “is it time for a new roof?” On their search results they will find blogs published on the RenovationFind website about needing a new roof. 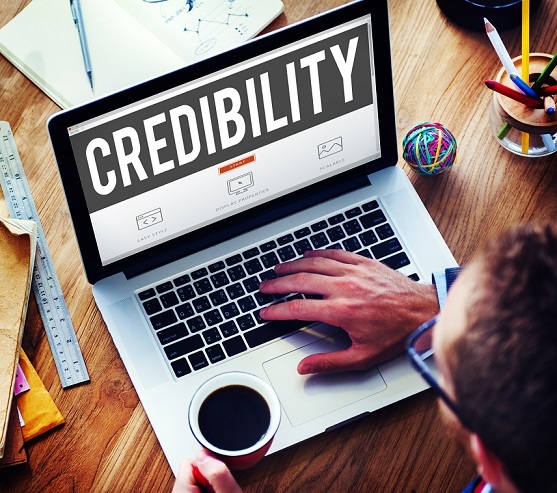 The blog they click on has the information they need and links to a local roofing company. 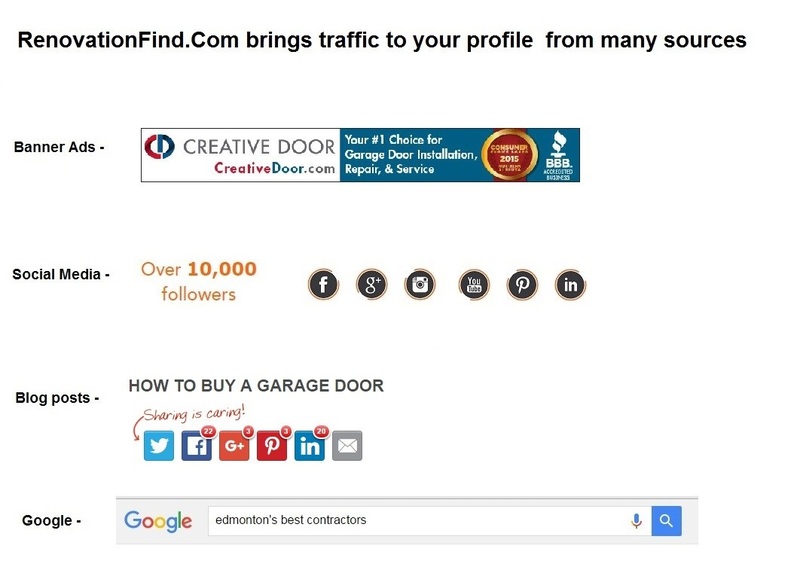 The search results will also show posts that were made on RenovationFind’s Google+ profile about the subject, leading the customer to find your contact information. More than that, this blogs like “How to know when it’s time for a new roof?” been shared more than 25 times over social media channels like Facebook, Google+, Pinterest and Twitter. If your customer is on social media, they very well could have found the information and your company profile there. 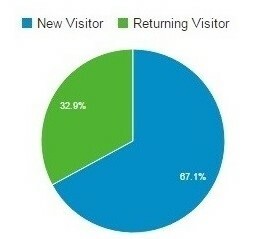 Notice how more than 67% of hits to your RenovationFind profile are NEW visitors. That means those visitors are arriving at your profile for the first time without ever visiting RenovationFind before and it is hard for us to track those visitors. They are coming from outside sources like a Google search, social media, etc and likely are not sure what exactly RenovationFind is. 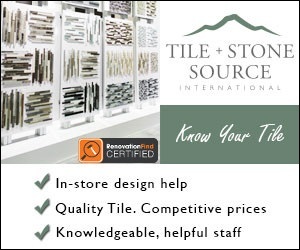 Still, they have found your profile because of RenovationFind and are now in your place of business asking about your products and services. We are constantly tracking and monitoring analytics to your RenovationFind profile and feature blog on our website. If you have any more questions about how we are generating leads for your company online, please don’t hesitate to contact us.